Arsene Wenger take note! Ajax wonderkid Christian Eriksen comes very highly recommended by none other than Dennis Bergkamp, which is not a bad reference to have on the old CV. 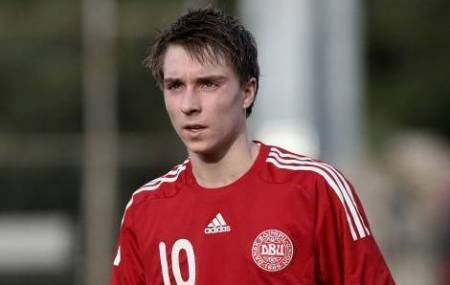 The Arsenal legend has urged his former manager Wenger to sign Eriksen before competition for the emerging Dane becomes fierce, with rivals Manchester United and Chelsea already being linked with a swoop for the 18 year old winger. Eriksen has one year left on his current contract at the Eredivisie giants so expect a flurry of interest in a few months time. People argue that he is the biggest Danish talent since the Laudrups and I tend to agree. He scores goals from a distance with both legs and has a good eye for the game. Cheers for the link Flem, Eriksen certainly looks like quite a prospect! That fourth goal was like watching vintage Bergkamp. Watched him in the Europa League match against juventus a few hours ago but he played very badly.